This private, guard-gated community parallels the fourteenth hole of Troon North’s acclaimed Monument golf course. 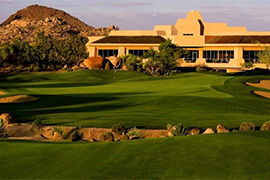 Many of the lots are adjacent to the fairway, while others take advantage of the carefully planned desert open space and protected view corridors. This custom lot subdivision remains one of Troon North’s best values.